Today is off to a great start. Got up early to do email. Made one of those micro-pots of coffee in the hotel room. Quick shower. I’m rushing to get to my meeting on time, so I’d have to blow dry my hair. Hotel room hair dryers are typically wimpy. But it doesn’t seem worth it to stuff my big, bazillion watt ceramic, ionic, bionic hair dryer into my roll-a-board when I travel. So, I dug out the hotel dryer. 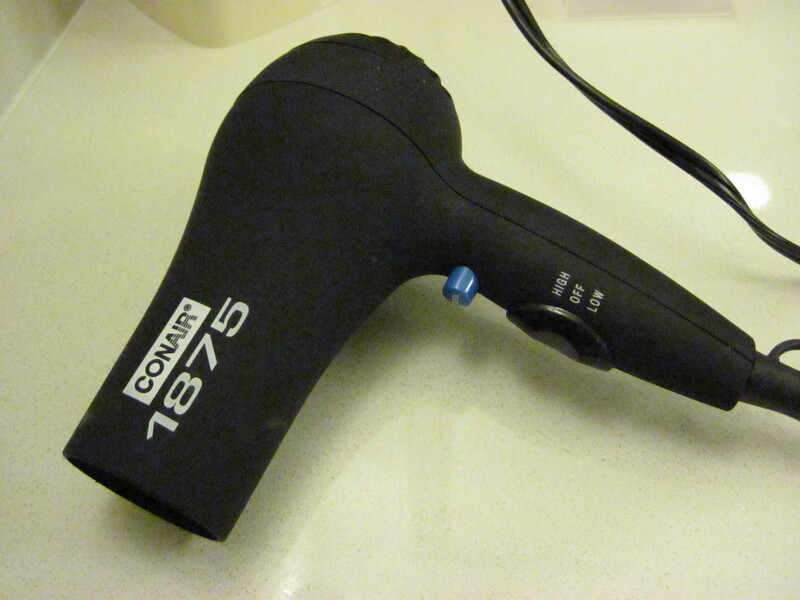 And…I’m drying my hair… and halfway through, the hair dryer up and dies. Not just one of those overheating…wait 15 min interruptions. Just died. Here’s to having a better day than morning. Hope the rest of your day went much better. My day did turn out ok. Thanks for visiting! Previous Previous post: On the road again. Next Next post: Good morning.